1:00 p.m. ET — New Invicta bantamweight champion Sarah Kaufman will talk about her title victory on Friday night. 1:25 p.m. — Joanna Jędrzejczyk will preview her UFC on FOX 30 fight against Tecia Torres. 1:45 p.m. — Jorge Masvidal will update us on what’s next for him. 2:05 p.m. — UFC heavyweight prospect Justin Willis will discuss his rise and what’s next for him. 2:25 p.m. — Muhammed Lawal will preview his Bellator 199 heavyweight tournament fight against Ryan Bader. 2:45 p.m. — Paul Daley will look ahead to his Bellator 199 fight against Jon Fitch. 3:05 p.m. — Junior dos Santos will discuss his recent time off due to a USADA investigation and his upcoming main event against Blagoy Ivanov. 3:25 p.m. — Neiman Gracie will join us in studio to discuss his recent win and what’s next for him. 4:05 p.m. — Josh Emmett will update us on the injuries he sustained against Jeremy Stephens in February. 5:05 p.m. — The MMA (After) Hour will air exclusively on Twitter. 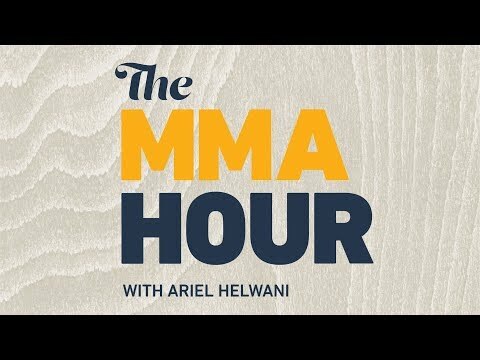 We’ll showcase Ric’s Picks and answer your questions sent via the hashtag #themmahour. Also, you can give us a call on our hotline at 1-844-8-MMA-Hour (1-844-866-2468). Watch the show live below beginning at 1 p.m. ET / 10 a.m. PT / 6 p.m. GMT. 5 Reasons why Karate is fantastic and KNX15 update! Explosive Karate Renders Opponents Destroyed!